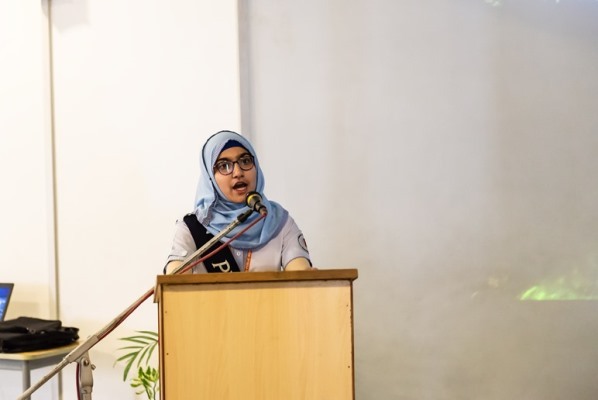 All the relentless efforts and dedication of hosting the DPS Festival of Lights culminated with a heart-felt ceremony in which the funds raised were donated to Ms. Zainab Ibrahim of the Baitul Sukoon Cancer Hospital. A whopping sum of 3.18 million was generated during the two dazzlingly delightful nights on 16th and 17th March at the Festival of Lights. 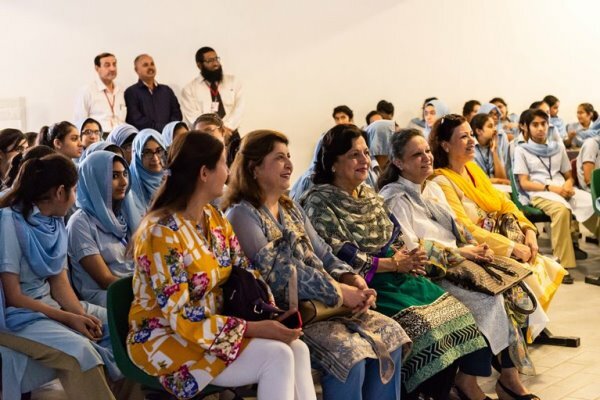 Further tribute was paid by Mrs. Chairman Kulsoom Dawood as she topped the generated some to 4 million. Once again the Dawood family has stepped fourth to contribute to a great cause. 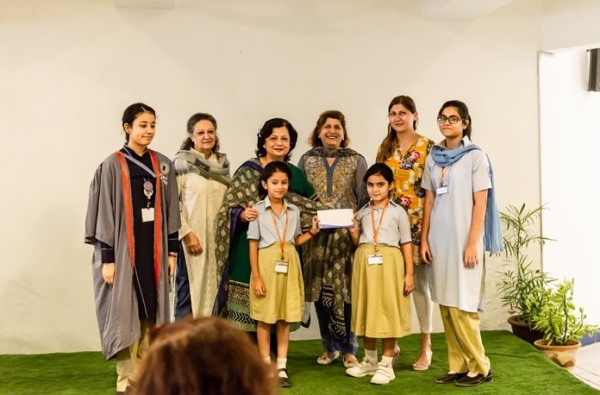 The ceremony took place in the Primary Seminar Hall with Mrs. Chairman Kulsoom Dawood and Maam Sabrina Dawood representing the united generosity of the young children to Ms. Zainab Ibrahim of the Baitul Sukoon Cancer Hospital and her team. 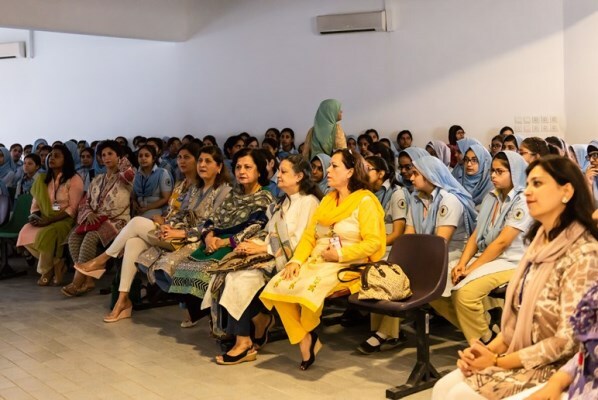 After talking about how important it is to do our part for the betterment of society and the importance of this principle in the School’s vision, some students of the Secondary and A Levels Section shared their experiences of participating in the Festival and collecting the amount for this noble cause. 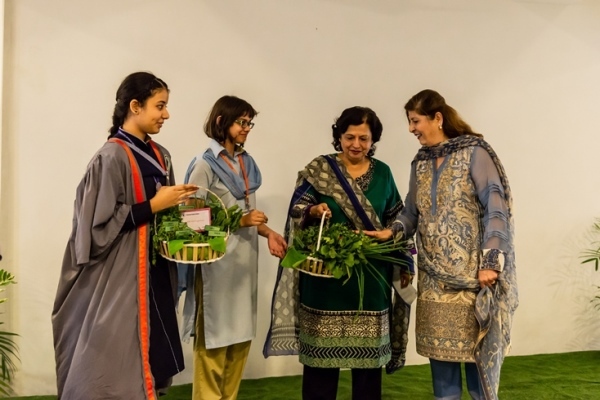 End of the ceremony was marked by the traditional handing over of organic vegetables baskets from the School gardens to the guests. Ms. Zainab expressed her gratitude and cheered on the passion and resolve that the DPS family had shown. The Principal shared the same sentiments making it a treasured experience for all.